2007 Adria Vini Barbera da Vine: Retail $15? After getting over the slight sting of overpaying for this (Last Bottle sold it for $5 for the case and I paid close to twice that for some moronic reason), this was actually quite enjoyable. Still a bunch of fruit left and rather well balanced. Absolutely no reason to hold on to these any longer, but it is drinking great right now and a perfect pizza wine. Good to Very Good. 85-87 Points. 2008 Argyle Pinot Noir: Retail $22. This wine has steadily improved over the course of the case that we went through. This bottle had very nice fruit and a depth that I did not see in the previous bottles. Very nice wine at a very nice price. Very Good. 87-89 Points. 2003 Beaulieu Vineyard Cabernet Sauvignon Rutherford: Retail $22. Popped and poured. Some nice fruit here with a bit of tannin fighting for some attention at the back end. This is nobody’s definition of a blockbuster cab, but it is certainly in the style that I like—reserved and balanced. Very Good 86-88 Points. 2003 Domaine des Monts Luisants Morey St. Denis Pierre Virant: Retail ~$50. This is an odd wine. The 2003 vintage was one of the toughest ever in Burgundy due to the extreme heat. Many winemakers had no idea what to do and some tried to craft a “New World” style Pinot, which seems to be what is going on here. Considerable fruit, a bit of it “stewed” but light on the acidity and backbone. I liked it, but it certainly did not seem like a “Burgundy”. Good to Very Good. 85-87 Points. 2002 Domaine du Mas Blanc (Docteur Parcé) Collioure Clos du Moulin: Retail ~$25?. This wine was popped near the end of the evening and I should have paid a little closer attention (what else is new?). The mourvèdre fruit was certainly there, but understated in a classic old world style. It followed some rather fruity Italian Barberas, so it certainly was a bit shy initially. After a few sips, it showed that this was a more serious wine than its cousins to the south and east. Very Good. 87-89 Points. 2006 Loring Wine Company Pinot Noir Clos Pepe Vineyard: Retail $50. Loring is known for rather big and bombastic wines. Starting with ripe Clos Pepe fruit getting such a wine is not a stretch. Since I generally eschew those blockbusters, I held on to this for a while. I think Brian Loring would agree that he thinks his wines should be consumed young, but this really held up. Sure the fruit was more muted, sure it was not over the top. But it was still big and bold with nice chewy fruit and good balance. California Pinot through and through. Outstanding. My type of Pinot. 90-92 Points. WINE OF THE WEEK: Simply put, any week that includes a Clos Pepe already has the WOTW figured out and the battle is going to be for a distant second. Based solely on quality, taste, and kickbuttedness (just made that up [and gave you the cleaned up version]), the 2006 Loring Clos Pepe Pinot Noir won hands down. Add to the equation that I got the wine for a whopping $17.99 from those knuckleheads (again, cleaned up term) at the Pennsylvania Liquor Control Board, this really should have been a no-brainer. But it wasn’t. 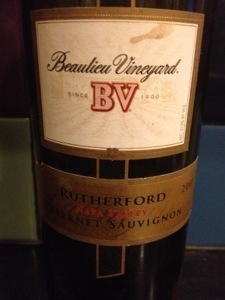 No this week’s WOTW goes to the 2003 Beaulieu Vineyards Rutherford Cabernet Sauvignon. It is not a particularly outstanding wine nor did I consume it under memorable or even bizarre conditions. No, it is WOTW based on how and why I acquired it. Over the course of my buying wine from all kinds of strange and “risky” places, I met a guy named Gerry that due to health reasons he could no longer drink wine. He had amassed a rather stunning wine collection of well over 3000 bottles, but when he got sick, he did not even go into his temperature controlled cellar for over five years. Eventually, he decided to sell off the entire collection. He had several trophy wines including many first growths and California cult cabernets, which were sold at auction and were way out of my price range. Eventually, he got down to “just a few cases” and wanted to know if I wanted to buy the whole lot. After some back and forth, we eventually agreed and a buddy of mine and I drove out to his house to pick up the wine. Well, the “few cases” turned out to be 22. Most of the wine was these BV Rutherford cabs which he started buying with the ’78 vintage. Gerry said that it was always one of his favorite wines and he was happy that they were going to go “to a good home”. This 2003 was the last of the Rutherfords that I had (although my buddy still has quite a few) and I thought it fitting to name it WOTW–I am pretty sure that Gerry would approve. 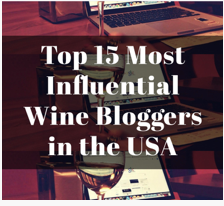 This entry was posted in Barbera, Cabernet Sauvignon, Mourvèdre, Pinot Noir, Tasting Notes, Wine and tagged beaulieu vineyard cabernet sauvignon. Bookmark the permalink. I was out at my local liquor store today and, on your recommendation, picked up the Loring Clos Pepe, only the 2009 vintage. Will wait awhile before I pop. We get these (Loring wines) at auction mostly and I haven’t followed their pricing but this bottle was $29.95 which is unusual since most US wines are more expensive here. Haven’t checked my reviews but think I should get a bunch? Ah! A convert! $30 is a very good price for Loring, especially Clos Pepe. Personally, I would get at least a few.